David Lamb was born in Yeovil, England in 1936. His family background was farming on the paternal side and foundry metallurgy on the maternal side. His father, Reginald Walter William Lamb (1897-1975) was a soldier from 1914-18 and a dairy manager from 1920 to 1963. David’s school education was at Saltley Grammar School, Birmingham, UK. His tertiary Education was at Aston University, Birmingham, UK where he majored in Metallurgy and Theoretical Mechanics. From 1956 to 1959, he did a Short-Service Commission as a Flying Officer with the Royal Air Force. He migrated to Northern Rhodesia in July 1959 and to Australia in March 1963. He has a Graduate Diploma in Physical Distribution Management and studied with Maryland University, USA for a Master of General Administration. He worked for twenty-eight years in management positions in the components industry and with Ford Motor Company in Australia and overseas. He was Director of Supply in Ford Lio Ho, Taiwan, at the time when it was the Ford Motor Company’s most dynamic subsidiary. As head of Purchasing in Ford Australia and as Director of Supply with Ford Lio Ho, Taiwan, he was responsible for purchases of more than $1 billion per year of materials and components for Ford’s range of cars and trucks. He was also responsible for the major facility expansion in Ford Lio Ho in 1979-82, when capacity was increased from 70 to 140 units per day; and again in 1988-91 when capacity was increased from 270 to 550 units per day. These increases involved major upgrades to engine machining and assembly facilities, paint facilities and vehicle assembly plants. From 1992 to 2003, he was Chief Executive of CSIRO’s Australian Automotive Technology Centre (AATC). Under his leadership, AATC provided a full service of cost analysis for automotive R&D projects, including a full cost-modelling service for new light metal facilities. The formation of AATC was part of an initiative by CSIRO to forge better links with industry. As Chief Executive of AATC, he built CSIRO’s profile and relationship with the automotive industry, structuring collaborative R&D projects worth more than $50 million. Much of the focus was on Australia’s potential as a significant supplier of light metal components to the world’s automotive industry. The initiative was supported by Federal and State Governments, and showcased to car companies throughout the world the innovative capabilities of Australian component manufacturers. More than 130 companies were involved in the first project, the Low Emission Vehicle (LEV) project that resulted in two hybrid electric cars and new export business of more than $730 million has been attributed to the first phase of the project. The LEV project demonstrated CSIRO and other Australian technological capabilities for low-emission (hybrid-electric) vehicles. The first vehicle, the aXcessaustralia LEV, from its launch in May 2000, received wide press coverage and was shown at World Expo and Automechanika in Germany, and to carmakers in Japan, Korea, Europe and South East Asia. The attractiveness of its affordable approach to low-emission car technology captured interest wherever it was demonstrated, showing all-Australian componentry and extremely low-levels of carbon dioxide and other exhaust pollutants. The second vehicle produced in the Low Emission Vehicle project was the Holden ECOmmodore launched by Holden Australia also in May 2000 and used by Holden as a flagship in its sponsorship of the Sydney Olympics. It was a hybrid-electric car using CSIRO hybrid electric componentry and control logic in parallel-hybrid configuration. Another collaborative R&D project involved four car companies and two component suppliers to improve the production time and quality of solidification of aluminium cylinder heads. The new technology enabled cylinder heads and similar complex castings to be manufactured in 25% less time than before, and at higher quality levels. David Lamb retired from CSIRO in 2003 and spent 18 months carrying out several major consulting assignments in business planning for BlueScope Limited, and for Cathay International Investments Pty Ltd of Sydney. In January 2005, David was invited to re-join CSIRO as Low Emission Transport Theme Leader in the Energy Transformed Flagship an assignment that finished in 2008. Highlights of that period were a 1200% increase in biofuels research and international engagement of UtraBattery® technology and licensing of the technology to major US battery manufacturer East Penn Manufacturing. Success of the project was reflected in the announcement by US President Obama of a US$32.5 million grant for further development of the technology. He has been consulted frequently by Federal and State Government departments on industry policy matters and has authored several industry reports. He has contributed to many books and papers on transport and vehicle technologies; most recently Transitions ‘ Pathways Towards Sustainable Urban Development in Australia, Edited by Peter W Newton, CSIRO Publishing, 2008, 691 pages, and A Roadmap for Alternative Fuels in Australia ‘ Ending Our Dependence on Oil, published by NRMA Motoring & Services, July 2008, 59 pages. 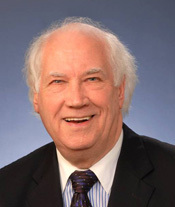 He is a Board Member of Greenfleet Australia and has served as a Board member for two Cooperative Research Centres. In semi-retirement, David has promoted the opportunities for reducing emissions in the transportation sector and is Chief Advisor on Automotive Technologies and Strategy. He is a member of the NRMA-sponsored Jamison Group that published A Roadmap for Australian Transport Fuels in 2008 and is now working on a revised edition. In March 1998, the LEV project was honoured with the DeBono inaugural award for innovation and in 2000 David Lamb and the Low Emission Vehicle research team were awarded the CSIRO Chairman’s Medal. Lamb D, 2009, Personal communication.